Bacon Candy: Brown Sugar Bacon | Hapa...Shot the Food! 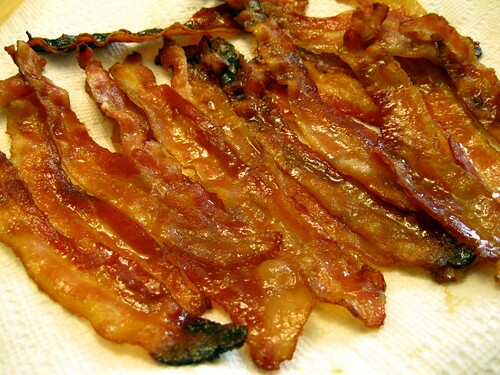 Don’t get me wrong…I like bacon made without any accoutrements. I like my bacon almost as much as I like my chocolate (and most of you who know me know I’m a huge chocoholic), but I wanted to try my hand at brown sugar bacon last weekend. Here’s how the prep and cooking went down. I used a very simple recipe found on the Food Network. Directions: (no jump this time since there are only three other pics). 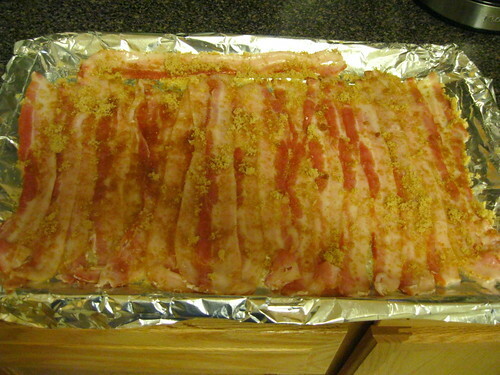 Sprinkle with the brown sugar and place the pan on the top rack of the oven. 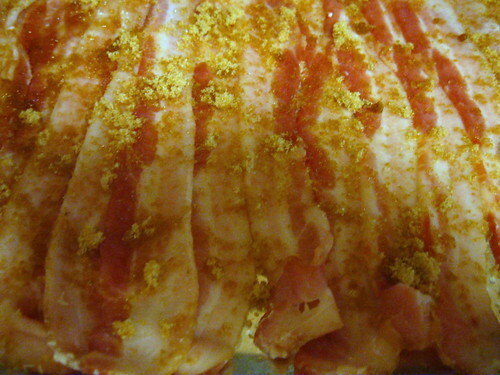 Bake 35 to 40 minutes or until the bacon is nicely browned and slightly crispy. Remove from the oven and serve immediately. Here’s how the bacon looked after all the grease had been drained and blotted dry with paper towels. When all is said and done, you still have a sheen/shimmer going on. While regular bacon is delicious on its own, adding brown sugar adds sweetness to bacon’s smokiness, making for a very delicious morsel. I love the interplay of sweet *and* salty as well. I won’t do this all the time I have bacon, but I appreciate having some bacon candy every now and again. Now that I have the basics down, I can also play with the recipe/prep a little. 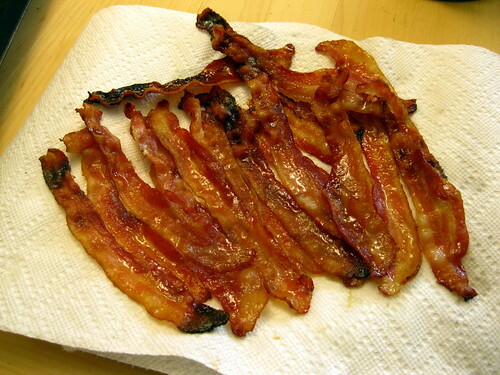 Posted on July 26, 2012, in Uncategorized and tagged bacon, breakfast. Bookmark the permalink. Leave a comment.